Shower seats are popular, affordable assisted living devices that can make bathing easier, safer, and more convenient for people with mobility issues. Tips to help you choose the shower seat that suits your needs best. Shower seats come in a surprisingly wide variety of styles, models, and price ranges. While this makes it possible to find the right seat for just about any user, navigating through the available options can be confusing. Start with these basic considerations to narrow down your search and make shopping easier and more successful. How will the seat be used? For many people a shower seat makes it possible to bathe independently, while for others it’s an assistive device that enables a caregiver to help them bathe. 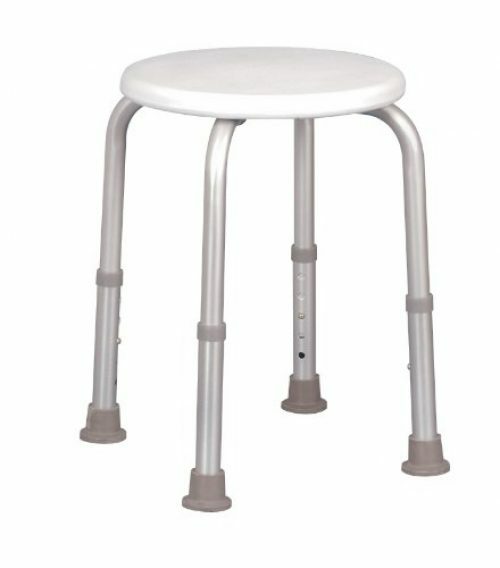 There are styles and models specifically designed for both types of user and they’re not necessarily interchangeable, so knowing whether the user will be using the stool alone or with caregiver help is important. How much support is needed? Styles range from simple stools to full chairs with backs and arms. Whether the user will bathe without assistance or with the help of a caregiver, it’s important to select a model that will provide adequate stability and support. Bariatric shower seats that feature a higher weight capacity, wider seat, and special comfort design are available for large or heavy users. Showers and bathing areas tend to be small and compact, so it’s important to select a shower seat with space constraints in mind. Measure before you shop and look for a model that not only fits into the space available, but also permits the shower door to be closed and allows room for entering, exiting, and user movement while seated. If the user will be assisted in the bath, be sure to select a model that allows enough room for the caregiver to function. Portable or permanently in place? Shower seats can be divided into two broad categories, freestanding or wall-mounted. Freestanding shower seats are the most common and least expensive type of shower seats. They’re portable, easy to assemble, and require no installation. When not in use a freestanding seat can be easily moved out of the shower, which makes them a good choice for users who share the shower with others. Many freestanding seats also offer height adjustable legs so they can be customized to suit the user. 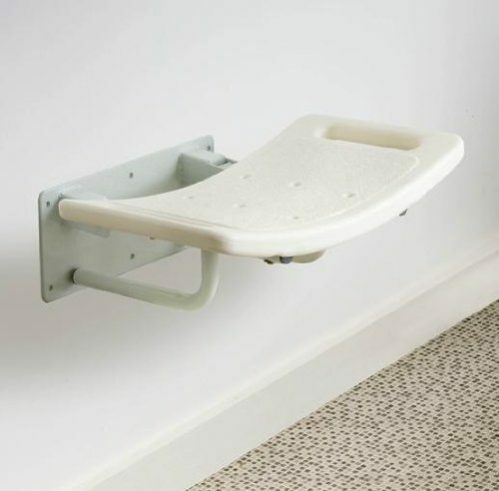 Wall mounted seats are permanently affixed to the wall of the shower for maximum stability and should generally be installed by a professional. Because they’re permanently fixed their height is not adjustable and they cannot be moved, but most can be folded down to save space when not in use. Take special needs into account. Shower chairs are available with wheels to make transfer easier for people with very limited mobility, and some shower chairs have removeable seats and attachments so they also be used as toilet frames and commodes. Users who have limited strength or flexibility may prefer a cutout seating area, which is shaped like a horseshoe with a front opening that makes washing easier. For users who bathe independently and just need a place to sit while showering, a simple freestanding shower stool may be sufficient. These seats, sometimes referred to as perching stools, are a popular choice and are available in a wide range of prices. Basic shower stools like the Circular Seat Adjustable Stool, the Corner Shower Stool, and the Profilo Adjustable Height Shower Stool take very little space, can be easily moved out of the way when not in use, and cost less than £50. A portable model like the Folding Shower Stool can be a good choice for users who travel. 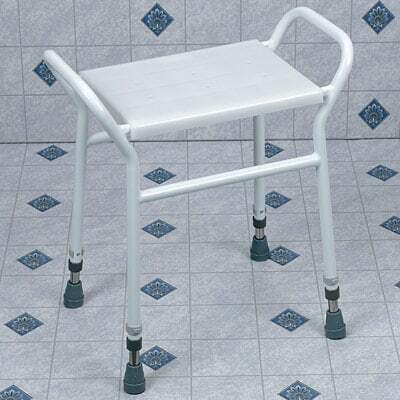 Extra For users who want a bit more support, freestanding shower stools like the Deluxe Perching Stool With Arms or the Lightweight Adjustable Shower Stool provide stable grip handles at the sides of the seat for leverage and security. Wall-mounted shower stools are also available. Basic models in the £30 to £70 price range like the Wall Mounted Fold Down Shower Seat, the Wall Mounted Curved Shower Seat , and the Roper Rhodes Designer Thermoset Shower Seat offer a simple compact seat that folds against the wall to save space when not in use. Please note: No screws or rawl plugs are supplied with this unit as you will need to buy appropriate ones for the wall which you are fitting it to. For more security, models like the Wall Mounted Slatted Shower Seat, the Patterson Savannah Shower Seat, and the AIDAPT Fold Down Shower Seat feature front legs that offer additional support when in use and fold against the wall for storage. When a simple stool doesn’t provide enough stability and support, a shower chair could be the answer. 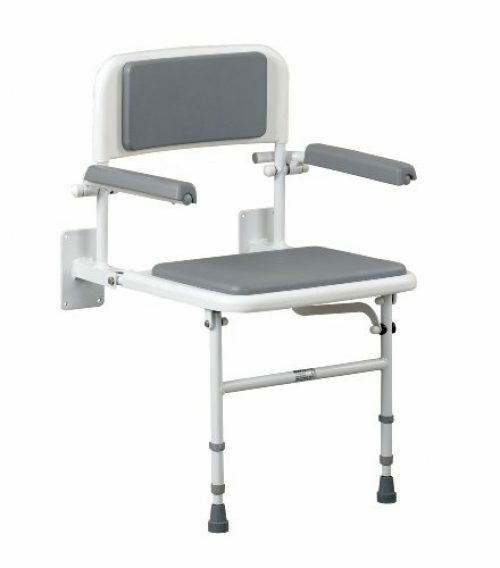 Freestanding models like the Deluxe Perching Stool With Back and Arms, the Stationary Adjustable Shower Chair, and the NRS Healthcare Shower Chair are affordably priced at well under £100, while wall mounted shower chairs like the Wall Mounted Shower Seat With Back And Arms range from £100 to £200. 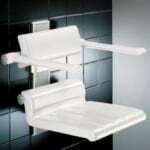 Bariatric shower seats provide comfortable, safety, and stability for users who are large or heavy. 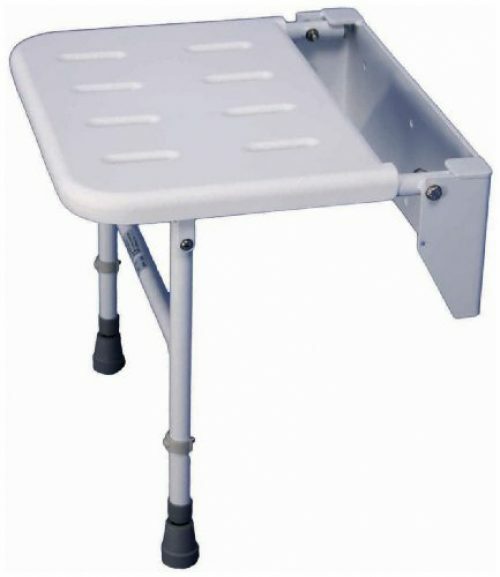 Freestanding bariatric shower seats range in price depending on size and capacity, starting from just over £100 for basic armless models like the Heavy Duty Bariatric Shower Chair and the NRS Healthcare Extra Wide Shower Stool to over £400 for the Patterson Medical Bariatric Shower Bench. 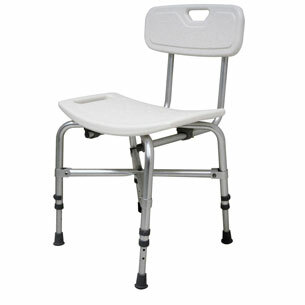 Wall mounted bariatric seats are also available. 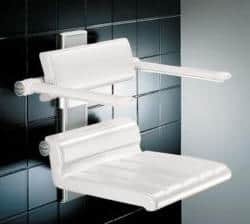 Popular models in the £400 price range include the Wall Mounted Shower Seat Bariatric and the Wall Mounted Shower Seat Extra Wide. 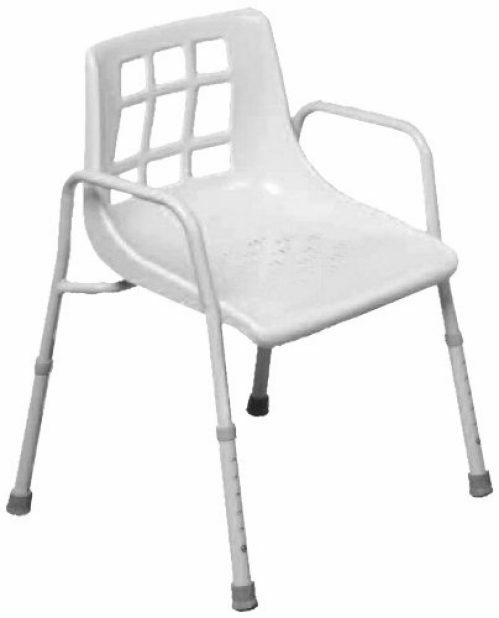 Multipurpose shower seats that can be used as a shower chair, a toilet frame, and a commode chair may be a good choice for limited mobility users when saving space is important. The NRS Portable Shower, Commode, and Over Toilet Chair is priced under £200 and features castors for easy movement. The Lightweight Collapsible Shower Commode Chair and the Deluxe Shower Commode Chair Transit are in the £300 price range, while multipurpose shower seats that can be easily dismantled for storage, like the Oyster Folding Shower And Commode Chair, start at around £400.